Welcome to worship! We’re glad whether you’re visiting or returning that you’ve decided to join with one another in the presence of God to praise His name! If you are visiting don’t forget we have a tradition of gathering in the fellowship hall for refreshments (coffee and juice) following our morning worship. Join us at 10:00 AM and 2:30 PM every Sunday! May God richly bless you all as you love and serve the Lord not only today but every day! Babysitting service available during both services. Sunday School available during morning worship service. 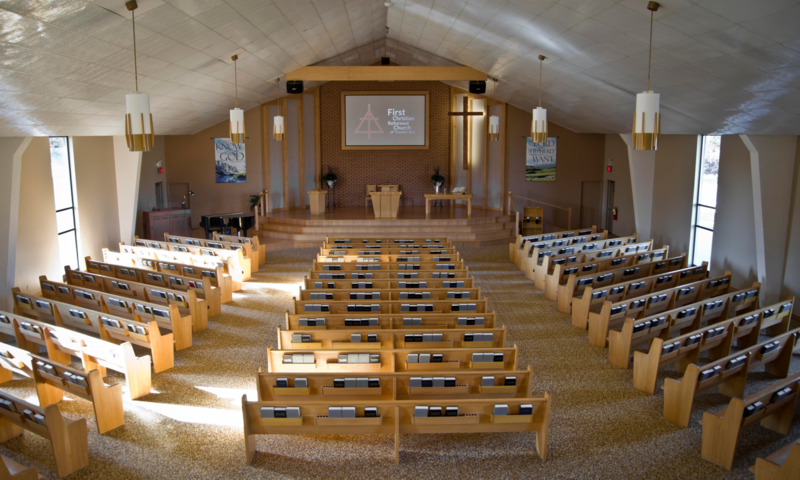 First Church was organized sixty-six years ago (November 1950) and is part of the denomination called Christian Reformed. This congregation is strongly Calvinistic, that is, Bible based. It believes that God rules the universe and the lives of people. People, although sinful before God, are saved by the grace of God through faith in Jesus Christ. Christian people who know and love Jesus Christ live their lives for Him. His Word is central to the worship service. The purpose of worship is to praise God by song, prayer and to hear His Word. The preaching is from the Bible. The Bible is the Spirit inspired and infallible Word. 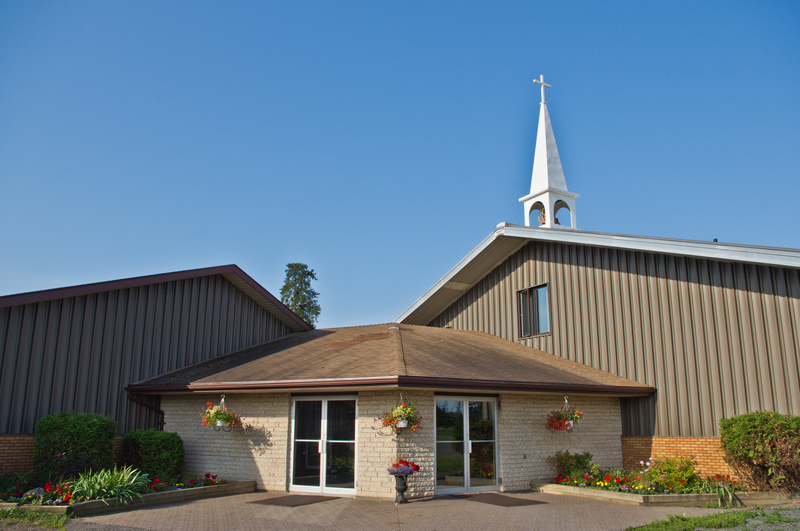 Afternoon Worship – 2:30 p.m.
Nursery is provided during both Sunday services for children too young to attend. The First Christian Reformed Church is located in Thunder Bay, Ontario, a city of 117,000 on the beautiful north shore of Lake Superior. The congregation meets for worship and other activities at the corner of Highway 130 N and Cooper Road. Cooper Road is west of the city limits, about six kilometres west of the intersection of Highways 11-17 and 61. Please call for church/hall Bookings. First Church is a peanut-free facility.